When you hear about criminal cases taking years or decades to resolve, it is often because they are going through the appeals process. A criminal defense lawyer can help you understand whether you can appeal the court’s ruling in your case because errors were made during the trial. There are a few different ways to appeal the court’s decision. You can file a motion to have the court overturn its guilty verdict and enter a new, not guilty verdict. 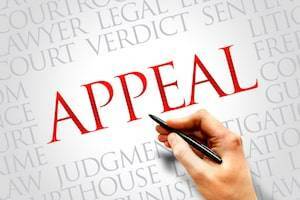 You can also file a motion for a new trial, which requests that the court declare your original trial a mistrial and schedule a new one, or you can appeal the ruling, which requests that a higher court review the case and determine whether to uphold or reverse the original ruling. Additionally, you can appeal your sentence. 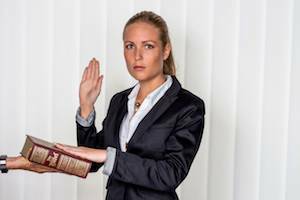 With this option, you accept the court’s verdict, but you request that a higher court review and potentially overturn your sentence due to a mishandling by the first court. 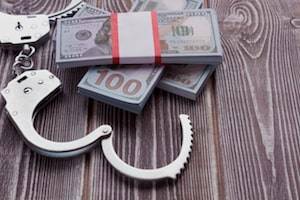 When you have been arrested and charged with a crime, you are typically facing numerous penalties. One of these might be having to pay restitution to the party harmed by your alleged actions. 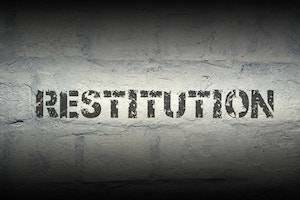 Restitution, like fines, can put you in a financially difficult position. To improve your chance of having your charge reduced or even dismissed, work with an experienced criminal defense lawyer. Many people do not understand the difference between restitution and a fine. However, the difference is actually quite simple: fines are monies paid to the government when an individual is convicted of a criminal offense. Illinois law designates the fine value an individual must pay for his or her conviction. Restitution is money paid to an individual or a business who suffers financially because of a convicted individual’s actions. Paying a victim restitution is not the same as paying for the victim’s damages. The primary difference between restitution and damages is that restitution is paid when a defendant is convicted, whereas damages are paid when a defendant is deemed liable for a victim’s civil losses.